A wide range of innovations are to be unveiled at this year’s IPACK-IMA event that opened in Milan, Italy today. 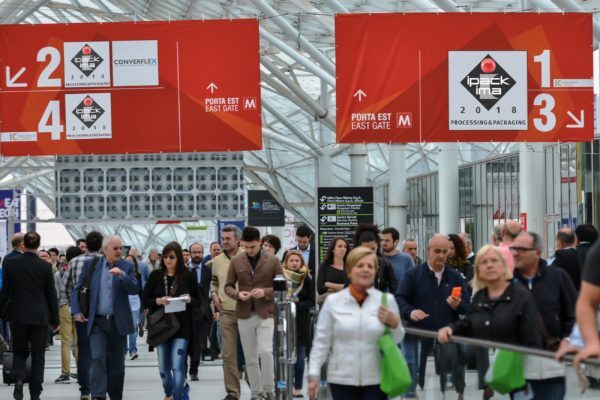 The industry showcase, jointly staged with Meat Tech at the Fiera Milano exhibition centre, features equipment and processing systems from among over 1,500 exhibitors. As its organisers explain, the event has offered a platform for the Italian domestic market to demonstrate its specialism within the sector, with aggregate turnover generated by sales of its food processing and packaging machinery amounts to €10.8 billion euros, 5.9% up on the previous year. 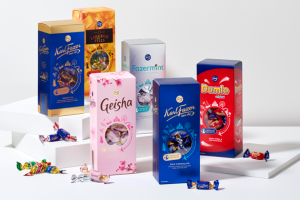 Over 45 countries will be represented at the event, for which Confectionery Production is a media partner, with exhibitions ranged across its 62,300 sqm. One of the trade fair’s major themes will be the impact of industry 4.0 technologies, with a focus on energy savings and efficiency in terms of equipment design. In addition to visitors from around the world, the event will feature official delegations of top hosted buyers as part of the hosting programme organised by the Italian Trade Agency ITA. In recognition of the value, technological quality and international interest of the offerings on display, IPACK-IMA and MEAT-TECH along with the other exhibitions in The Innovation Alliance have been included in the special Italian trade fair promotion plan financed by the Italian Ministry for Economic Development through ITA. The delegations come from a total of 45 countries in Europe, the Middle East, Africa and Central and South America, as well as the United States, China and India. 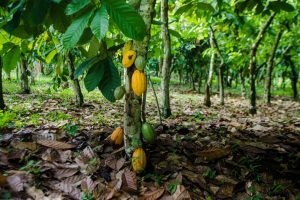 According to event organisers, the largest delegation will consist of Indian buyers led by a senior official from the Indian Ministry of Food Processing. For this year’s IPACK-IMA, the event will be predominately divided up according to the target markets and not just the type of technology on display, as is normally the case in trade fairs in the sector. The leading Italian and international suppliers of technologies, materials and accessories for the pasta, bakery, milling and confectionary industries are hosted in halls 1 and 3. In the adjacent halls (5 and 7), visitors can discover the latest new products for food processing and packaging, with particular emphasis on fresh and convenience food. The showcased offerings include machinery, equipment and devices for a range of different product sectors. Technologies for labelling, coding & tracking are hosted in hall 14 while companies operating in the end-of-line stage are accommodated in halls 6 and 10, complemented by the products showcased at Intralogistica Italia, the event devoted to internal logistics organised by Deutsche Messe and Ipack-Ima. IPACK-Mat, the new satellite show focusing on innovative materials and premium packaging, is making its debut at IPACK-IMA 2018 in hall 14 along with further thematic spaces and content devoted to smart packaging, eco-packaging and premium packaging. 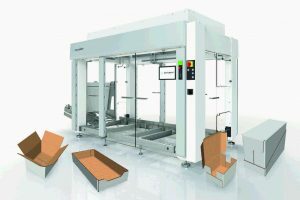 The range of exhibits is rounded off by numerous automation and robotic solutions showcased in the various halls by industry-leading companies capable of acting as digital partners in the transition towards the Smart Factory, a concept in which all elements in the line are interconnected so as to optimise and control every step in the production process. Alongside the wide range of exhibits, the show also has a packed programme of events and meetings. Key topics explored for this year’s events’ educational programme include the circular economy, sustainability, increasingly ergonomic and distinctive product design, anticounterfeiting and food safety. There will also be a focus on digitisation and issues relating to e-commerce. In particular, IPACK-IMA will host an international conference at 10:00 am on 30 May discussing ways of fighting food waste in the context of the Save Food project organised by FAO and Messe Düsseldorf. Another key event will be the 2nd packaging and e commerce forum organised by by IPACK-IMA and the Italian Electronic Commerce Consortium, Netcomm. IPACK-IMA will also host the presentation ceremony for the Best Packaging Awards, a contest organised by the Italian Packaging Institute for the best packaging solution designed or sold in Italy and exhibited during the recent Milan Design Week. The topics in the spotlight in 2018 are innovation and design.